When we arrived in San Carlos, CA, for Labor Day weekend, there was no question in anyone’s mind that we’d be enjoying lots of wine and cheese in the days to come. Our friend Kristy, a new mom, had been counting the days until we arrived since her wine drinking had been on hiatus during her “mommy to be” days. 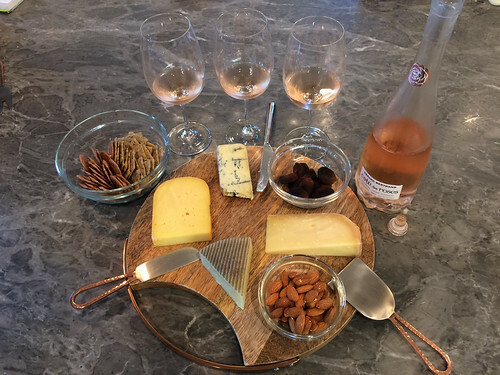 She planned a grand wine and cheese feast to start out the festivities with 4 cheeses and a bottle of rosé. Maria and Neil were ready! Such a delicious evening! After gnoshing and catching up that night, we started taking tasting notes the following days. It just so happened to be Cabernet Sauvignon day while we were there and wouldn’t you know it, we brought a bottle of that grape to share with them. Honestly we didn’t even plan it, the wine was just so delicious that we had to bring it along! We all loved how different it was from a traditional Cabernet Sauvignon and savored the flavors over a couple of days. This was a great wine to showcase how much flavors can change when you taste it multiple times. Kristy and Sam couldn’t get over the evolution of the bottle! As we hung out over the next couple of days we told them all about our train trip across the US and all our other recent travels. We had just wrapped up our Sideways Wine Tour through California before arriving at their home. We were so fortunate to visit a half dozen wine regions during the trip! Once we started talking about our big Paso Robles wine tasting day, they had a wine to share with us. 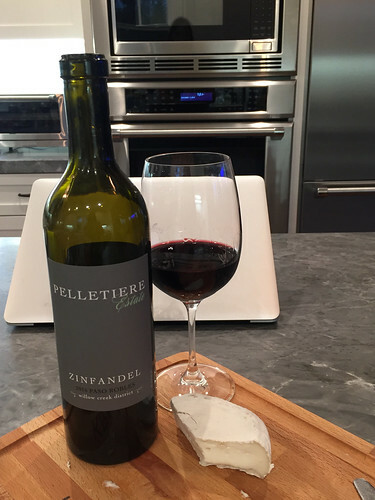 They had gone wine tasting in Paso, too, and had fallen in love with the Pelletiere Estate brand. 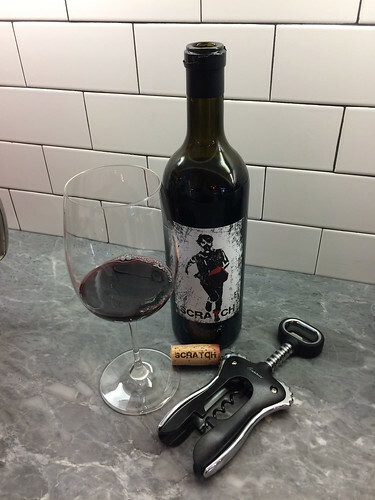 Not only were we newly familiar with the region, but also the wine they chose was a Zinfandel, one of our favorites. 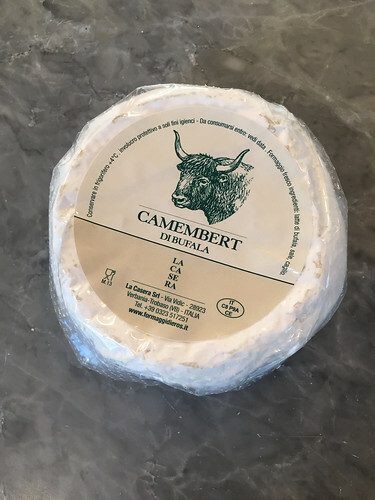 I had just the cheese in mind to pair with it, a camembert di bufala! We opened the bottle and everyone agreed that it smelled wonderful! There were aromas and flavors of black pepper and dark fruit. It was starting out great, then as it opened up, the flavor changed to be softer with hints of vanilla. Definitely a good zin that just called for us to pair it with a cheese. During the pairing, the cheese caused the fruit aromas of the wine to disappear. Instead, the zinfandel changed to be more herbal. The flavor of black pepper also changed into cherry cola. What an interesting reaction from pairing this cheese with the wine! I’m always on the quest for new cheeses to try so when I found one with buffalo milk, I had a feeling it would be fun. So glad we were able to do this pairing with Sam & Kristy as it’s always great to share pairings where new flavors appear. Kind of like a magic trick! Check back on WineAndCheeseFriday.com for the other pairings that we did this holiday weekend. 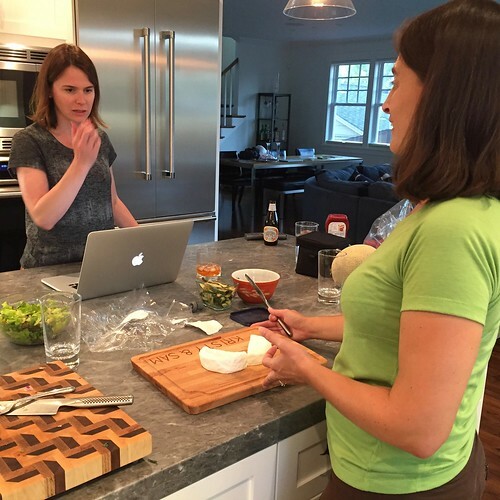 Previous Post: Kathy & Gale host Wine and Cheese night for the third time! Next Post: Celebrate Valentine’s Day with Sparkling Wine and Cheese!